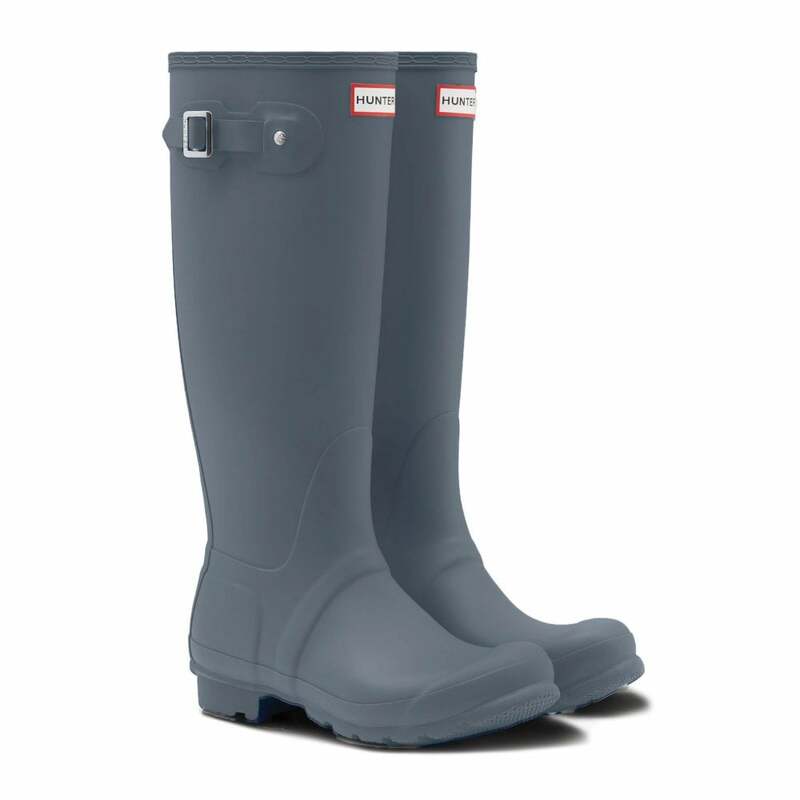 These Hunter Original Tall Gloss Wellington Boots have a rubber upper and are gull grey in colour with a gloss finish. They have an adjustable buckle fastened panel at the side and a detailed cuff. Hunter branding appears on the front as well as embossed on the sole and buckle. The soles are thick with a textured tread for excellent grip on any surface.